The following teen hair style ideas and trends come straight from the infamous Blow salon, New York's only Blow Dry Bar specializing in providing sleek blowouts and full service grooming services. 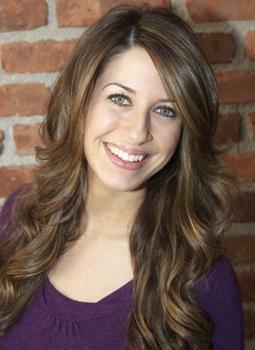 Blow's talented stylist Sarah Barkoff spills her favorite teen styling tips and secrets! LoveToKnow (LTK): What are some popular and trendy teen hairstyle ideas? Sarah Barkoff (SB): Some popular and trendy teen hairstyle ideas right now are medium to long hair, with long layers and a bit of face framing. 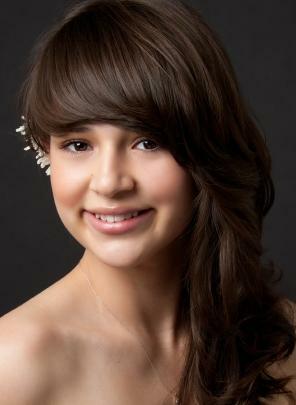 This style allows a teen to have relatively low maintenance hair. This is a cut that can be simply dried with a blow dryer and flat brush. Once you get the hair dried, you can follow it up with spot flat ironing. Spot flat ironing is basically just getting the pieces around the face that tend to get frizzy smoothed out. This adds a more polished look. You can follow up this simple style with a light textured serum such as Blow's Weather Girl to seal in the style and prevent frizz. Keep in mind a long layered cut can easily be thrown back into a ponytail, and can easily wear a few braids, to keep hair at bay if you are active. LTK: What are your must-have hair accessories for teen hair styles? SB: Must-have hair accessories right now would have to be headbands! Headbands are super easy to wear and you can coordinate them with your outfits. They are also great to hide a day or two old blow out. An easy approach to this look is to dust on a little Faux Dry on your fringe (the hair that naturally falls forward on your forehead) and brush the hair going back away from your face, to distribute the product fully. Then, top it off with your favorite headband to complete the look. LTK: What is the biggest challenge teens face with home hair care? SB: I have found the biggest challenge teens face with home care is getting a style that looks clean and polished but that is simple to do at the same time. My advice is product! Keep the hair clean by shampooing and conditioning at least every other day, since your hair is probably more oily at this point in your life. Run a conditioning/straightening product through clean, towel dried hair. A great product is Blow's Straight To The Point or Blow's Tress Relief. Get the hair dried, and if you are good with your hair, use a round brush. If that's too much trouble in your busy life, simply get the hair dried and touch it up with a flat iron or curling iron. LTK: Do you have styling suggestions or versatile cut recommendations for the on-the-go teen who wants to look trendy while staying active? SB: Some cut recommendations for an active teen is to keep hair medium length. This is hair that hits around the shoulder. Add some simple long layers or no layers at all, either way this will allow you to be able to still fit your hair in a ponytail. Another major piece of advice I would highly recommend is staying away from bangs. I know it's a big trend right now, but they are pretty high maintenance and require regular salon touch ups. They also tend to fall in your face if you are active, and can get in the way during sports and other activities. LTK: What are popular coloring ideas for teens? SB: I am seeing everything from simple highlights, to a flash of unpredictable color, to simple natural colors in terms of hair color on teens. On the streets of New York, it seems that anything goes! LTK: Is the emo/punk look still in fashion, or are teens venturing into different hair trends? SB: I definitely am seeing the emo/punk trend die down, at least on the streets of New York. Right now I am seeing more preppy looks with less product and I am definitely see less pomade! LTK: What are the styling tools nearly every teen should own? SB: The styling tools every teen should own are a high powered blow dryer, flat iron if you need it, and a medium sized barrel curling iron. LTK: What are your favorite styling products? SB: My favorite styling products are Blow's Tress Relief and Blow's Faux Dry. Tress Relief is my go-to product because it's an excellent detangler, but I find that it doubles as a styling aid as well by giving the hair a bit of substance for your blow dry. Faux Dry is also my go to product because its great for a day old style to freshen and plump up your roots, but I also use it on just freshly blown out hair! I use it to just get a little bit of added lift at my roots to seal in volume. LTK: What are your best tips for special occasion hair? SB: I think a great special occasion style for teens is a nice clean blow out with a deep side part and loose waves. You can follow it up with some curls with a medium sized curling ironing to seal in the look as well. This is an easy romantic look, and it looks great on nearly everyone! Another idea is to go super sleek and straight with a middle part. You can ask for a pin straight blow out with maximum shine and polish. This is a pretty look if your dress is making the statement. LTK: Do you have any edgy teen hair style ideas for guys? SB: I think some edgy ideas for teenage boys are grown-out, cool razored cuts. These cuts are sort of haphazard looking, and have a bit of rocker flair. The cut is basically that quintessential "emo" cut with the long fringe, that has now grown out. Once you grow out that fringe and the sides a bit longer, you can ask your stylist for some razoring to create more edge and to take you out of that previous trend.